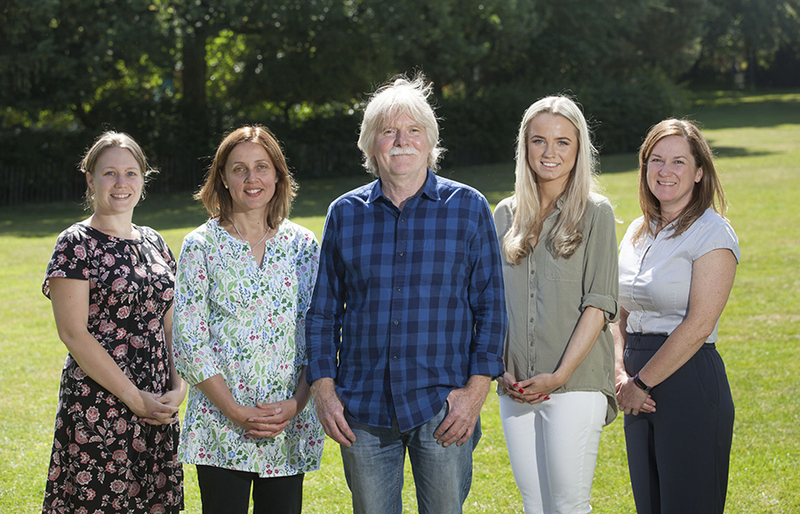 The McGoff Group is pleased to confirm that it has made the first four appointments at Back to the Garden Childcare, its new day nursery in Altrincham which is set to open in August. Lorraine Webb, from Sale, has been appointed Nursery Manager. With a career in the early years across the private, public and voluntary sectors spanning more than 27 years, including managing Children’s Centres in Trafford and being Children’s Centre Development Officer. Having worked closely with children and their families over the years, consulting a wide range of multi-agency professionals from midwives, dietitians, teachers, health visitors and speech therapists, Lorraine is committed to supporting each and every child to achieve the best possible outcomes and allow that individual reach their full potential. “The philosophy of Back to the Garden and its approach to childcare is refreshing and the role of manager really appealed to me. The child-led, active learning environment and emphasis on outdoor play in a natural setting away from polluted main roads is something I passionately believe in. Lorraine’s depth of experience and knowledge is ideal to lead and develop the new team at Back to the Garden. Supporting Lorraine in her new role will be Zoe Bowring and Anne Statham as Early Years Teachers and Lucy Bjerkan as Graduate Nursery Practitioner Apprentice. Zoe, who studied Early Childhood Studies with a particular interest in outdoor play in Manchester, and then went on to do another degree in Early Years Teaching, is an incredibly experienced teacher with an ethos that resonates with Back to the Garden; that every child is given the best possible start in life, from birth onwards, to help them achieve their full potential at their own pace, where they can learn naturally through play and with friends. Having worked with children in their early years for almost 25 years, both as a teacher and a consultant, Anne is passionate about early experiences and how they shape a child’s physical, mental and emotional well-being. Lucy is the youngest member of the team at Back to the Garden, having recently graduated from Manchester Metropolitan University with a degree in Psychology, covering content such as art therapy, language acquisition and may possibilities of how behaviour is learnt which are useful for working with children in the early years. Lucy hopes to continue to work post-graduation to Masters level. She was attracted to the child-friendly ethos and the organic and natural approach of Back to the Garden, especially the freedom and facilitation of learning and play, which mirrors her own childhood early years. Opening in August, Back to the Garden, which is located on Sinderland Road in Broadheath, is now taking reservations, with capacity for 120 children, from babies through to four and five year olds. They are also recruiting for several positions, including receptionist, housekeepers, unit leaders, nursery practitioners and apprentices. For further information regarding the job vacancies, admissions or fees, please contact Kay Johnson on 0800 118 2884 or emailkay.johnson@mcgoffgroup.com. Alternatively, please visit www.backtothegardenchildcare.com.